Will end of sanctions against Sudan ease Bible shortage for 1 million Christians? 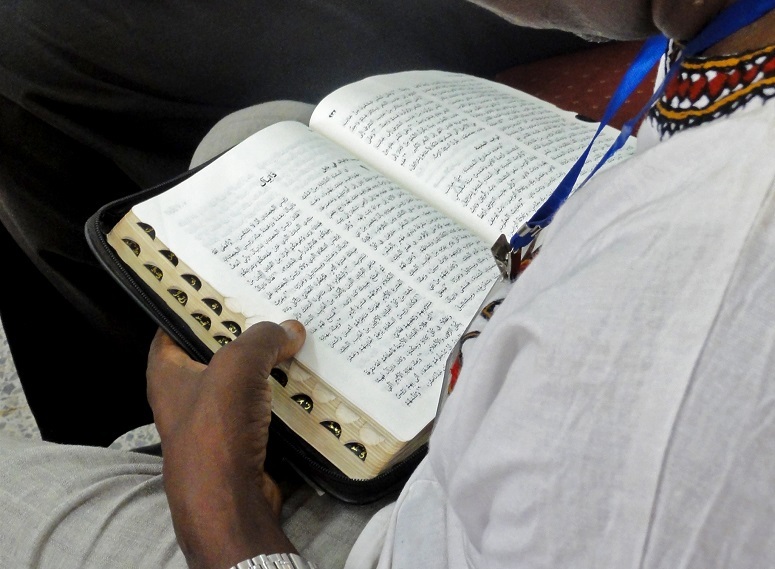 Measures by the Sudanese government to prevent Bibles from entering the country are leaving the churches there with a serious shortage of Scripture and teaching materials. One senior church leader, who has overseen the import of hundreds of thousands of Bibles and other pieces of Christian literature to Sudan, told World Watch Monitor the Bible Society has not had Bibles to distribute in Sudan since around 2013. He said there are about 1 million Christians in Sudan, around five per cent of the population, disputing the official figure of three per cent. Sudanese Christians point to a 2011 speech by President Omar al-Bashir in which he said wanted to adopt a “100 per cent” Islamic constitution after the Christian-majority south had voted to secede. Since then, foreign missionaries have been expelled, churches confiscated or demolished, and leaders harassed and arrested. The church leader listed ways in which the government has restricted access to Christian literature. The Logos bookshop in Khartoum was shut down in 2013 after almost 20 years and its books were confiscated. In Khartoum North officials confiscated all the books from one shop’s storeroom, he said. Also in the capital, officials seized books from two containers stored in a church compound (all in 2013). Another Christian NGO working in the region said it had not been able to bring Bibles into Sudan since 2012. Sudan is fifth on the Open Doors 2017 World Watch List of the 50 countries in which it is most difficult to be a Christian, and is also a “country of particular concern” for the US Commission on International Religious Freedom (USCIRF). Christians in Sudan are regularly harassed by government agents, as World Watch Monitor highlighted earlier this week after another five members of the Sudanese Church of Christ were detained. World Watch Monitor has reported on the destruction of several churches in and around Khartoum, and the situation of the people of the Nuba Mountains, who have been the subject of “ethnic cleansing”, according to Open Doors. Churches are being pressured by the Sudanese government to hand over their property and several pastors have faced trial for alleged actions against the state, including espionage and attempting to defame the government. In a recent interview with World Watch Monitor, Sudanese Christian woman Mariam Ibrahim talked about her experiences of narrowly escaping being hanged for “apostasy”, first having been lashed 100 times for her “adultery”. In response to concerns raised over its human rights record by the US embassy in Khartoum in July, Sudan insisted that the country “enjoys religious freedom” and “unprecedented openness”. The US recently decided to lift economic sanctions on Sudan, a decision that angered human rights advocates, including USCIRF chairman Daniel Mark, who said he was “disappointed”. However, it appears this may have prompted the Sudan authorities to be more open to finally releasing a consignment of Bibles: several have been held in Port Sudan for at least two years.